WASHINGTON — The Obama administration violated federal law by failing to adequately take into account the climate change impact of leasing public land for oil gas drilling in Wyoming, a federal judge ruled Tuesday. But the decision by the United States District Court for the District of Columbia could also present a legal threat to President Trump’s agenda to quickly expand oil and gas drilling and coal mining across the nation’s public lands and waters. That’s because the decision amounts to a road map that could be used to challenge hundreds of Trump administration leases as well. However, experts said that, while the decision could lead to legal delays for the drilling expansion envisioned by Mr. Trump by tangling them in litigation, it was unlikely to halt it entirely. Tuesday’s decision by Judge Rudolph Contreras, which applied specifically to an Obama-era plan by the Interior Department’s Bureau of Land Management to lease several thousand acres of land for drilling in Wyoming, also concluded that the agency was legally required to consider the climate impact of all such lease sales for fossil fuel development. “This is the first court ruling that specifically tears apart the Interior Department’s failure to take into account the climate change of impact on drilling, on a national scale,” said Jeremy Nichols, the climate change and energy program director for WildEarth Guardians. In his decision, Judge Contreras wrote that, under the National Environmental Policy Act of 1970, federal agencies are required to consider and quantify the effect of the possible planet-warming emissions associated with the fossil fuels to be extracted from the sales of such leases. Already, that law requires the federal government to consider the on-site environmental effects of oil and gas drilling, such as water pollution and the effects on plants and animals of road construction. The Bureau of Land Management protested that it “would be required to identify any past, present, or reasonably foreseeable greenhouse-emitting projects worldwide,” an “impossible” scope of analysis. In general, the Trump administration’s proposed lease sales for oil and gas drilling have included less climate impact analysis than the Obama-era ones that were the focus of Judge Contreras’s decision. 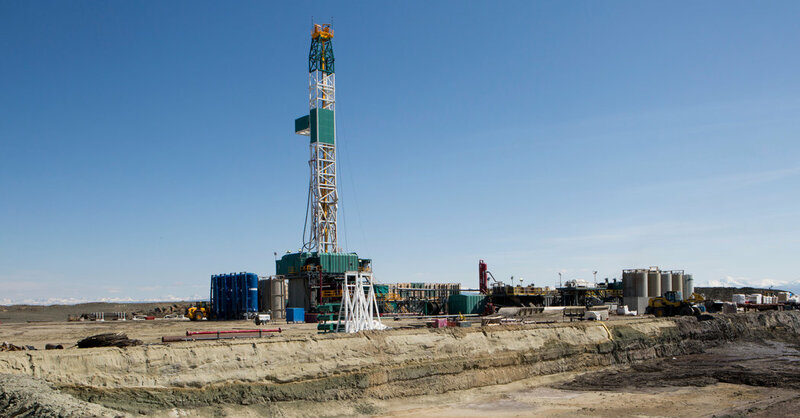 “The judge is asking BLM to take a wild guess at how many wells would be developed on these leases and analyze greenhouse gas impacts for wells that will never be developed,” said the spokeswoman, Kathleen Sgamma.